Data-driven decisions can only be as good as your data. Historically, SEM metrology solutions have focused on providing high precision. 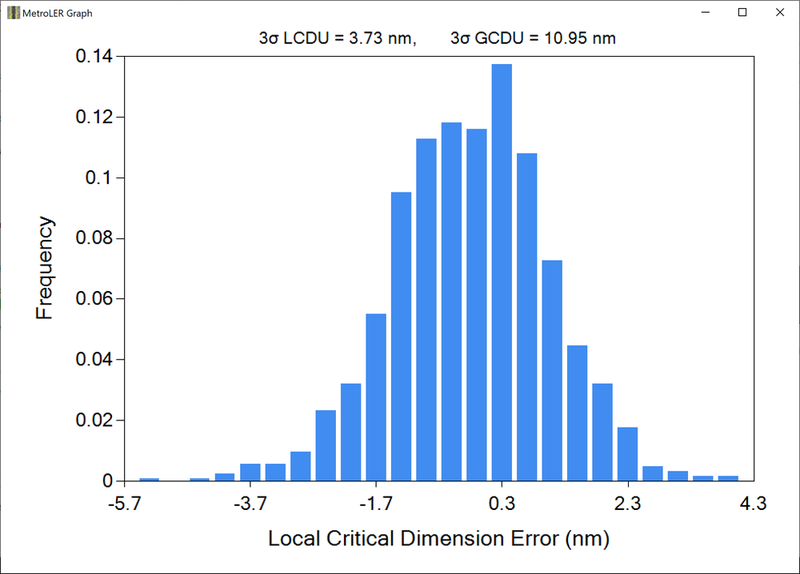 But with stochastics comprising more than 1/2 of the total error budget for current technology nodes, it is now critical to measure what is actually on the wafer with accuracy, not just precision. Fractilia solves this problem. 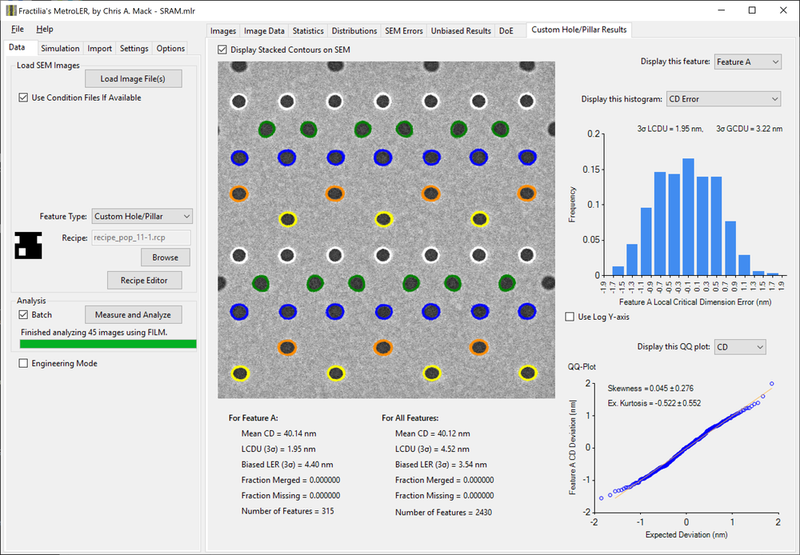 Using our patented edge detection technology with true computational metrology, MetroLER allows you to measure what is on the wafer, not what is on the SEM image. Measurement of images from most tools: CD SEM, SEM Review, AFM, etc. MetroLER is a standalone software tool that runs on Windows 7 or Windows 10. If your issues relate to LWR, LER, roughness or stochastics, MetroLER provides by far the most accurate measurements and analysis. MetroLER uses the patented FILM edge detection technology to accurately measure and remove the SEM noise, which results in the most accurate unbiased roughness measurements. 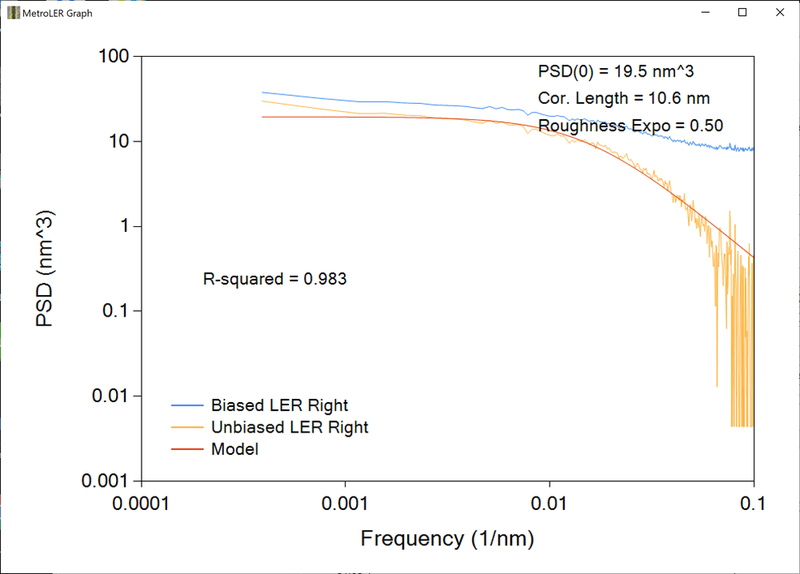 MetroLER measures and analyzes the full PSD and outputs critical unbiased metrics such as LWR 3-sigma, PSD(0), and Correlation Length. Using MetroLER you can confidently compare unbiased roughness measurements across different resists, different process conditions and even different models and manufacturers of SEM tools. MetroLER provides the most accurate and complete measurements of unbiased roughness. Do you need to quantitatively measure the defectivity rates of your processes? 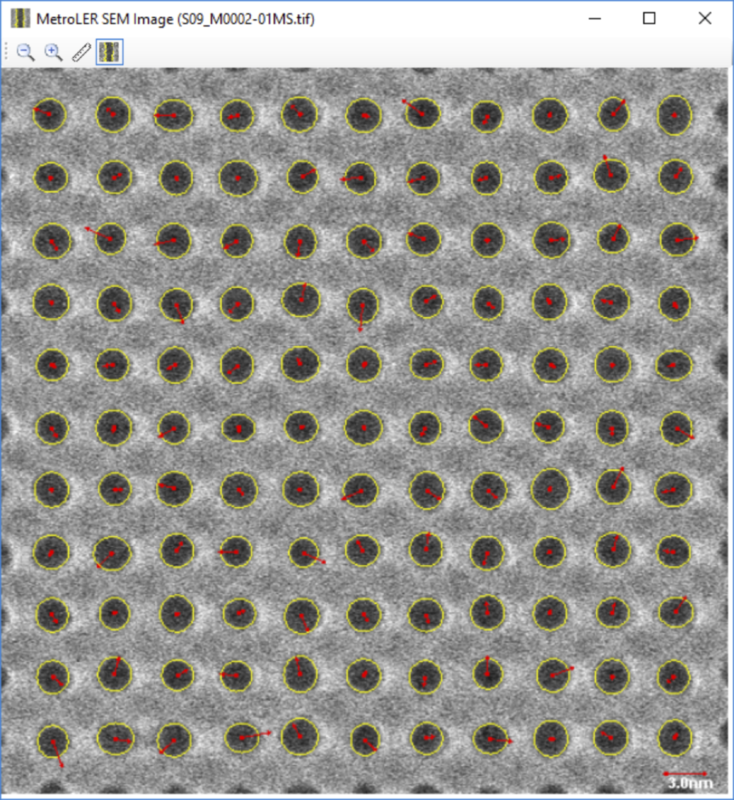 Whether you have one SEM image or thousands, MetroLER provides the most accurate analysis available. MetroLER automatically detects bridges and breaks for line/space patterns as well as missing and merged contacts and pillars. The software identifies the location of the defects and outputs a table of the sizes and locations of the bridges and breaks as well as statistics related to the defects. 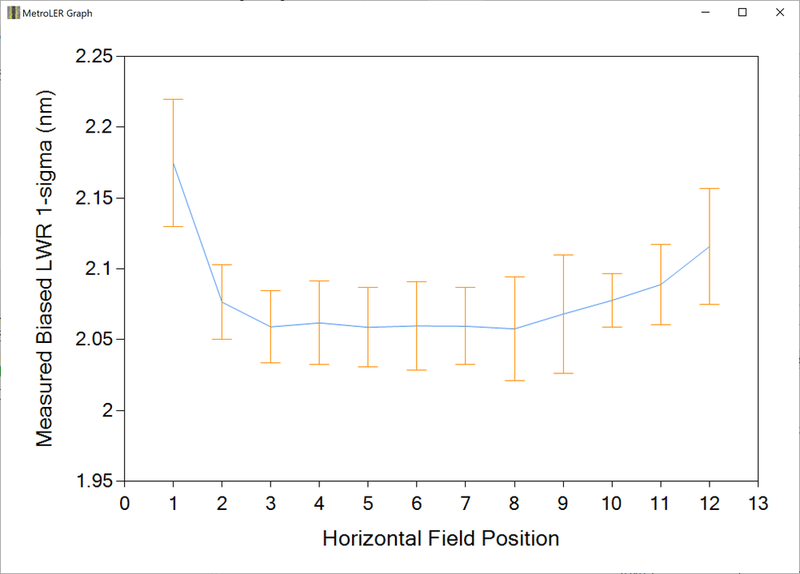 In addition, you can view meaningful plots such as stacked contours for multiple populations. 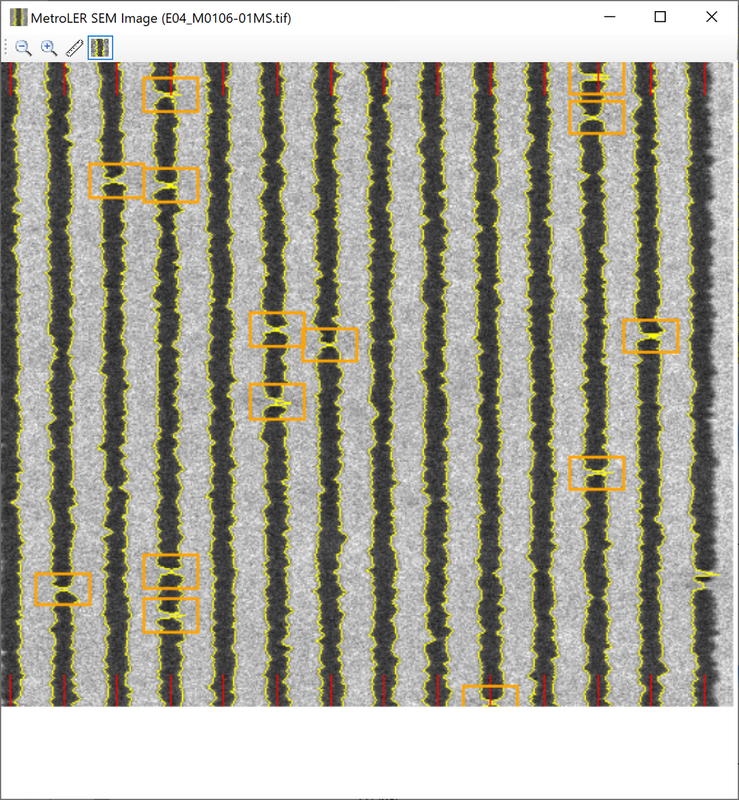 MetroLER analyzes and outputs across-wafer and across-field results for dozens of metrics. MetroLER uses our second-generation patented Fractilia Inverse Linescan Model (FILM™). FILM is a physics-based algorithm for edge detection that rejects noise without resorting to statistical filtering or smoothing. The result is robust edge detection without modifying the true characteristics of the feature edge you are detecting. The noise in a SEM image adds to the uncertainty of the feature to produce an inflated, biased roughness measurement. MetroLER fixes this problem by measuring the random noise in an SEM image and then statistically subtracting it out to produce a far more accurate unbiased measurement. 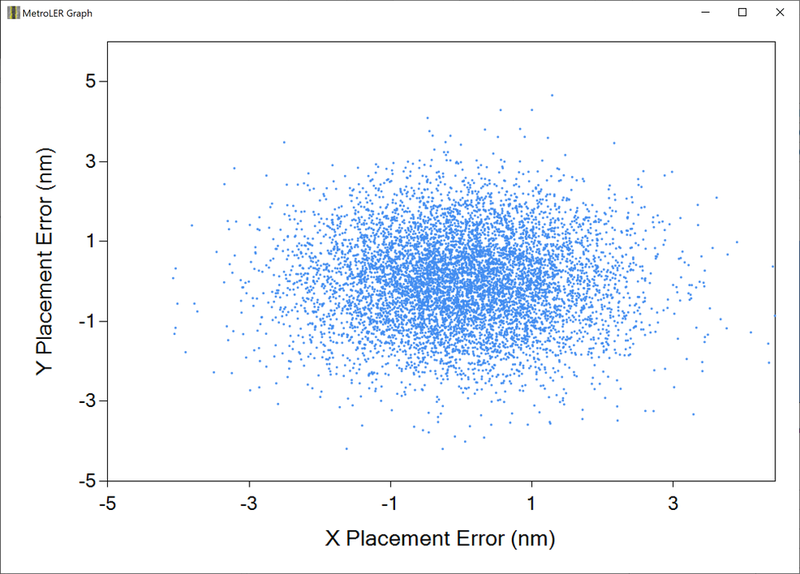 Systematic SEM errors are also measured and removed. Unlike other tools, MetroLER is self-calibrating and requires no user-defined input parameters. This means that you will receive the same accurate measurements regardless of who is performing the analysis. In addition, all measurements and analyses are completely repeatable. The results from other measurement tools are affected by process conditions making it difficult to determine the accurate measurements and optimal process conditions. MetroLER solves this problem by subtracting SEM errors across the range of conditions. With MetroLER you know what is on the wafer, not just what is on the SEM image. Copyright © 2017-2019 by Fractilia, LLC. All rights reserved.